You may have noticed that I changed the name of my blog recently to Transforming Workers’ Comp. I did this because I wanted to show how serious I am about changing the way workers’ compensation is conducted in the US and to prove that implementing medical tourism into workers’ compensation is not an academic exercise from an author without the credentials to support his ideas. Today’s post has two parts to it. The first part deals with the fact that the medical tourism industry has yet to sufficiently answer certain questions regarding how the issues of legal liability and medical malpractice are to handled, and which forums, American or foreign, are the proper forums in which to bring lawsuits, in case patients are wrongfully injured by foreign medical providers. Who is liable for damages and how that liability is resolved between the patient’s home country’s laws and the laws of the destination country needs to be answered, as does who will pay when a medical provider causes harm to a patient. For most doctors in the US, medical malpractice insurance, which is incredibly expensive and has driven many physicians out of medicine, covers medical mistakes. But how these mistakes are dealt with when a patient seeks care in another country is vital, not only for health care patients, but for workers’ compensation patients as well. One major criticism of medical tourism is the lack of legal remedy for patients claiming injury from medical malpractice. Medical malpractice and liability laws in foreign countries are not as strict as laws in the U.S. Awards for malpractice are generally not as generous either as those in the U.S. Physicians overseas do not typically have the same amount of malpractice insurance as their American counterparts. And the threshold for determining malpractice is higher outside the U.S. Limited recourse through the court systems of many countries is a problem, and the right to sue may not exist for injured patients. In India, even though the court system is similar to that in the U.S., medical malpractice awards are rare and never reach the multi-million dollar amount common in U.S. court systems. Before recognizing a suit, an American court must have personal jurisdiction over a foreign provider. The issue of personal jurisdiction over the foreign provider is a difficult burden for anyone initiating a suit. U.S. courts are reluctant to assert personal jurisdiction over physicians who are not residents of the U.S. and do not practice in the forum state. Minimum contacts sufficient to exercise personal jurisdiction could be difficult to establish over a physician who performed a harmful procedure outside of the forum state. If a U.S. court does find evidence to support personal jurisdiction, the case could be dismissed on the grounds of forum no conveniens (not suitable to the forum). If the case is not dismissed, then choice of law conflicts arises., If a court recognizes a valid claim against a defendant, it is likely the defendant will be successful challenging the location of the suit. Most jurisdictions would apply the laws of the country where the malpractice occurred, decreasing the likelihood of a finding of malpractice, and a reduction of damages. These questions may not be much of an issue for individuals contemplating or actually pursuing medical tourism as an alternative to expensive or unavailable medical care. But for employee benefit managers, corporate risk managers, corporate financial officers and top executives, as well as insurance company and third-party administration personnel responsible for the handling of claims and the medical issues involved with these claims, it does matter a great deal and will need to be resolved before medical tourism expands its market into workers’ compensation. But there are other questions, more pertinent to the implementation of medical tourism into workers’ compensation that involve the issue of impairment, which maybe something that medical tourism providers are not knowledgeable about, since health care in the US is not as regulated as the American workers’ compensation system is, and foreign physicians who have not practiced in the US may not have experience with patients who were injured on the job, or are familiar with state workers’ compensation regulations and rules pertaining to impairment. So my purpose here is to explain to the medical tourism industry what is involved with impairment in workers´ compensation so that medical tourism physicians will be able to deal with this issue as more Americans go abroad for health care, and especially if their employers pay for them to do so, as one company in the southern US is already doing and when the injuries being treated are work-related. Once physicians are aware of how impairment is covered under workers’ compensation. Impairment is defined in an article by Rebecca Shafer, J.D. as a problem in the function of a body part. It can be either temporary or permanent. When it is temporary, the employee is unable to work while recovering from the injury. When the impairment is permanent, the employee retains a residual of the injury after the medical treatment has ended. A permanent impairment’s impact on the employee’s life can range from a very mild impact to a life altering impact. An inability of the employee to control his/her neurological functions — the brain, spinal cord, and peripheral nerves at the level prior to the injury. Eight states have set up state specific disability ratings for injured workers, according to Rebbeca. These ratings are, according to Dr. Brautbar, developed by medical specialists …that reflect the severity of the medical condition and the degree to which the impairment decreases an individual’s ability to perform common activities of daily living (ADL), excluding work. These ratings are expressed as percentages of impairment, for example, from 10% – 18% impairment. Forty-two states use the AMA Guides to the Evaluation of Permanent Impairment. But whichever guide is used, if the treatment plan includes surgery of any kind, the surgeon must take into consideration what level of impairment the patent will have post-surgery. For patients suffering work-related injuries this is very important because the outcome of the surgery will determine their final impairment rating, and thus the amount of benefits they will receive after recovery. However, for patients undergoing surgery for injuries not sustained on the job, such ratings are not important, and for the medical tourism provider, it is also not a factor in the final outcome of the surgery. The patient is seeking medical care abroad because it is too expensive at home, unavailable at home, or is experimental. And because most physicians in the US who treat injured workers are utilizing evidence-based medicine, the American medical community will only treat patients with certain treatments like spinal fusion for back injuries, whereas physicians in countries like India are performing disk replacement surgery, which allows the patient more mobility than fusing. Finally, there is one more definition of impairment that has not been mentioned; that of Maximum (Maximal) Medical Improvement, or MMI. MMI occurs when an injured employee reaches a state where his or her condition cannot be improved any further or when a treatment plateau in a person’s healing process is reached. It can mean that the patient has fully recovered from the injury or that the patient’s medical condition has stabilized to the point that no major medical or emotional change can be expected in the injured workers’ condition. At that point, no further healing or improvement is deemed possible and this occurs despite continuing medical treatment or rehabilitative programs the injured worker partakes in. If an employee fully recovers from the injury, then he returns to work and the TTD ends, according to Rebecca. So it would seem that before medical tourism can be implemented into workers’ compensation, these and many other questions and issues must be understood, addressed and satisfactorily dealt with. By doing so, the globalization of health care that is medical tourism will be able to handle all facets of medical care, not just those that involve cosmetic surgery, weight-loss surgery, heart disease, cancer, fertility and a host of other new medical treatments and procedures, but workers’ compensation injuries as well. Since I began my blog, I have heard from a small number of professionals in the medical tourism industry. Some have commented on my writing, others have invited me to connect with them on LinkedIn and even work with them, believing that I have a medical tourism business and can provide them with patients. And still others have ‘liked’ my articles, but do not comment. 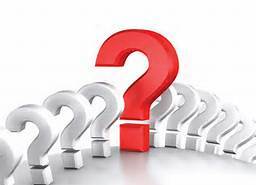 So here and now, I would like all of you who have commented, invited me to connect, and who have “liked” my articles to help me answer these and other questions that have been raised throughout my articles. It would a tremendous way for all of us to learn just how medical tourism can change the lives of millions of people who otherwise would receive less than adequate health care at home. It would also allow those who are interested in expanding the reach of medical tourism into a market that so far has resisted the benefits of medical tourism. Once that is accomplished, American employers will be more comfortable with the idea of paying for employees to leave the country to get treatments that will change their lives, as I know the company in the southern US has already learned. And, the employee will be compensated for traveling abroad from the savings the employer will realize. That too is a question that needs to be answered, but that is a discussion for another time. This entry was posted in Health Care, Medical Tourism, Workers' Compensation and tagged Disability, Employers, Health Care Plans, Impairment, Legal Issues, Liability, Medical Malpractice, Medical Tourism, Medical Treatment, Workers' Compensation on January 30, 2014 by Transforming Workers' Comp.